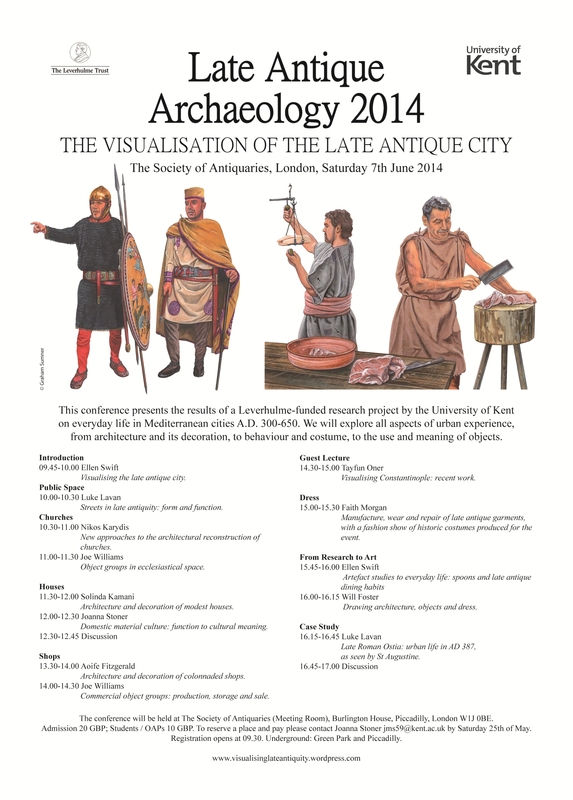 We are pleased to announce the Visualisation of the Late Antique City conference 2014. This event, featuring papers from both project members and guest speakers, will present the results of our three years of research and explore the different facets of urban life in Late Antiquity. The conference will be held on Saturday 7th June 2014 at The Society of Antiquaries, Burlington House, London, W1J 0BE. All are welcome to attend; fees are £20 / £10 students & OAPs. To register, please contact Jo Stoner via email jms59@kent.ac.uk by Saturday 25th May 2014. See the below poster for full programme and details.